Stamping Rules! : I'm in the top 20 - please vote! I'm in the top 20 - please vote! Hi, ladies! My polka dotty birthday card is in the Top 20 over at Practical Scrappers, and now the voting is open. Please go check out all the fun cards - all polka dots and birthday, but a LOT of variety! Vote for me or vote for any of the other amazing cards...but please vote! A big congrats to Michele J. who won the Friday Favorite Things giveaway this week! She'll be choosing her favorite new paper pack from the new Spring catalog. 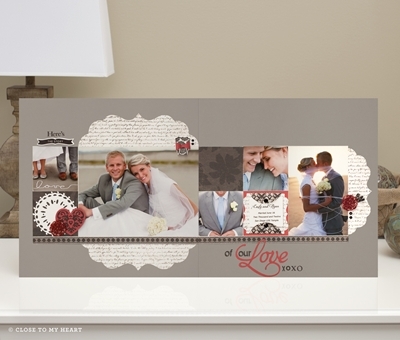 My favorite is For Always, the elegant new Black and White pack with bold pops of color! I can't wait to get started on next month's pages using this stunning collection of papers! Gotta dash - getting dinner ready for my club gals who'll start arriving soon. I love club night! I voted for you Wendy!